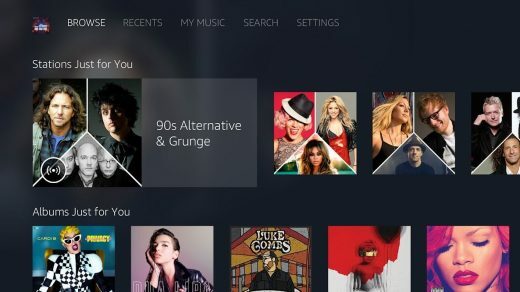 Just as we hear that Apple Music is coming to Amazon’s Echo platform, Android Police points out that Amazon Music is preparing an app for Android TV. The app recently made its debut on Xbox One also, so it appears Amazon is making an effort to reach subscribers in every room, even if Alexa and Fire TV aren’t there yet. As each major technology company rolls out a competing suite of connected services, we’ll take any cross-play and compatibility we can get that makes it easier to use the stuff you already pay for (Amazon Music is has 2 million free songs for Prime subscribers, while access to the 50 million deep ‘Unlimited’ library costs extra) on stuff you already own. You can pre-register to get the app once it’s released by simply heading to the Play Store right now.